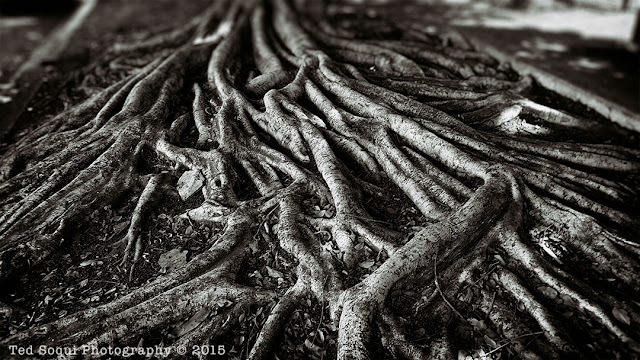 Tree roots near Wilshire Blvd. in Hancock Park. Labels: Hancock Park, LA, Wilshire Blvd.